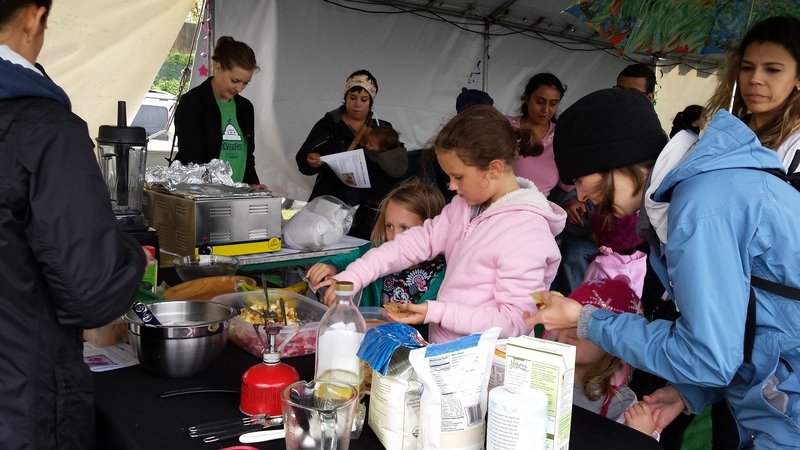 I was honored to present a cooking demonstration in the Kids Area at the 2015 DC VegFest on Saturday, October 3. During the presentation, I demonstrated how to make Fruit-Filled Crepes and Cheesy Macaroni. I was so happy to have samples for the kids and their families to taste. 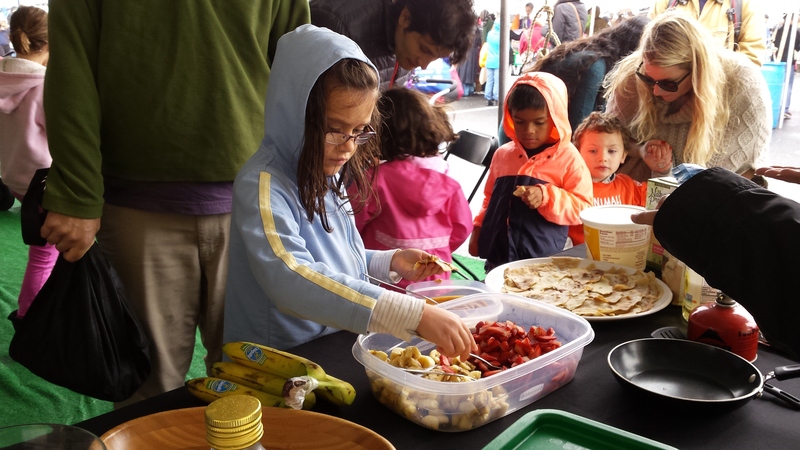 People really liked the cheesy mac and the kids enjoyed filling their own crepes with bananas, strawberries, and peanut butter! I brought recipes for families to take home and was thrilled to hear a few parents say they would be making these dishes for their kids next week. 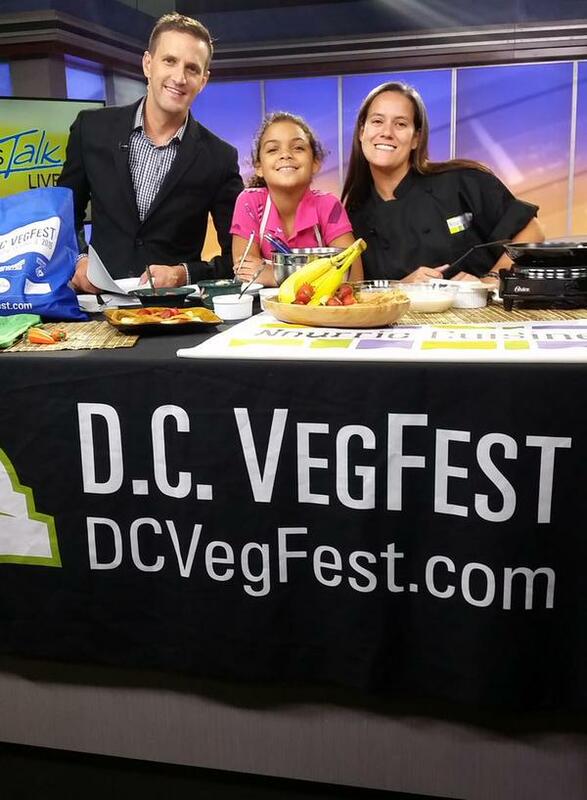 Here are the recipes for you to try too: DCVF Cooking Demo. Even before VegFest started, I had an exciting week helping spread the word about the event. On Monday, September 28 I demoed Fruit-Filled Crepes on ABC 7’s Let’s Talk Live! Here I am with host Kidd O’Shea and my co-star Maya. You can also watch the video (starting at the 47:28 mark). 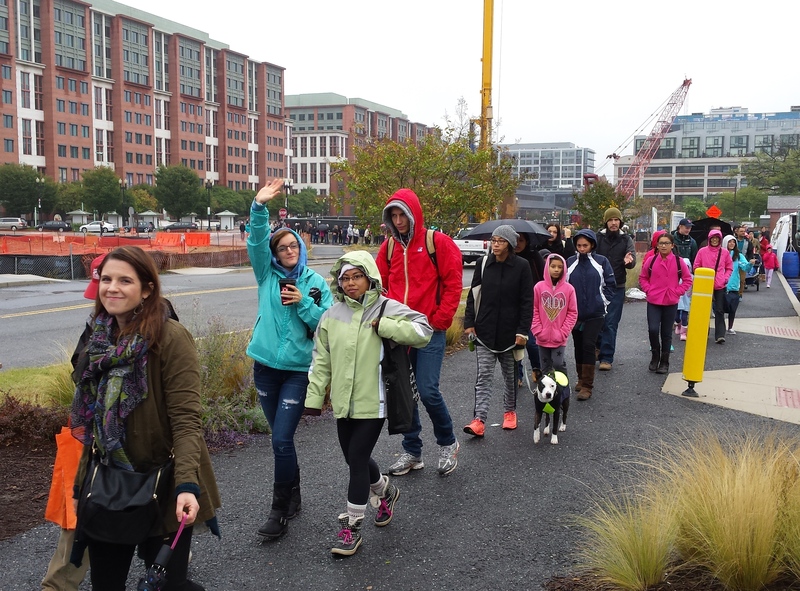 Despite some drizzle, the 2015 DC VegFest was perfect. I had a great time and can’t wait for next year!